Priced at INR 50,600 (on-road Delhi). 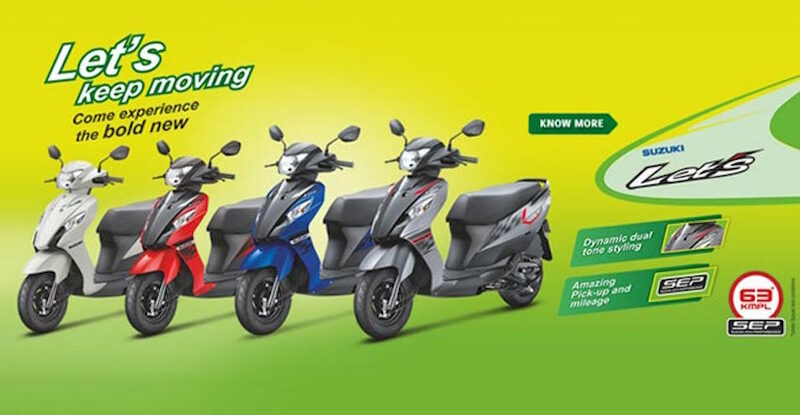 Suzuki has quietly unveiled a new set of dual tone color options for the Suzuki Let's scooter. Colors include Matte Grey/Matte Black, Pearl Suzuki Blue/Matte Black, Pearl Mira Red/Matte Black(ARB), Pearl Mirage White. Colors include Matte Grey/Matte Black, Pearl Suzuki Blue/Matte Black, Pearl Mira Red/Matte Black(ARB), Pearl Mirage White. Apart from that, there are no mechanical or design changes. 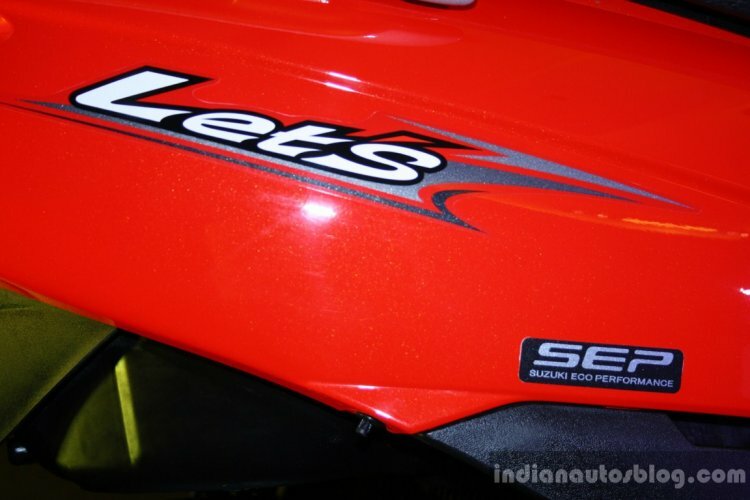 The Suzuki Let's is powered by an air-cooled 112.8 cc engine producing 8.7 hp at 7,500 rpm and 9 Nm of torque at 6,500 rpm. It is paired to a CVT unit, and the fuel consumption is rated at 63 km/l. The Suzuki Let’s measures 1,805 mm in length, 655 mm in width, 1,120 mm in height, 1,250 mm in wheelbase, a ground clearance of 160 mm, and weighs 98 kg. It features 120 mm drum brakes at the front and rear for stopping power. The front gets a telescopic suspension while the rear gets a swing-arm type coil spring suspension. The Suzuki Let's fuel consumption is rated at 63 km/l, thanks to the SEP.
Also on offer is an optional storage box and a mobile charging port.